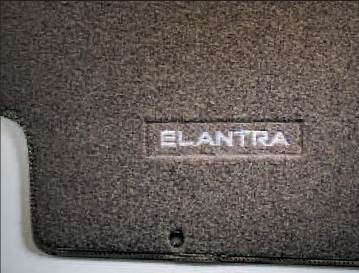 Preserve the original carpeting of your Elantra with custom designed and color matched floor mats. A "Nib" underside will ensure a non-slip fit. Customized for you with an embroidered Elantra logo. Gray Mats have been discontinued. These are the factory correct 4-piece beige floor mats (trim code ZE) with the slot to anchor them safely in place. They were delivered quickly, and a week later when they went on sale, I just sent out an email and they put the difference back on my card! Great customer service & a quality product.